Tonight we have live music at both our Landing and Hilden Rd locations. Jacksonville Landing featuring Callie Johns at 8:30 Hilden Rd featuring Trevor Tanner at 8:30 Come for dinner.. These colors don’t run, but they do get you Barroom Hero 16oz cans for only $2 this 4th of July. 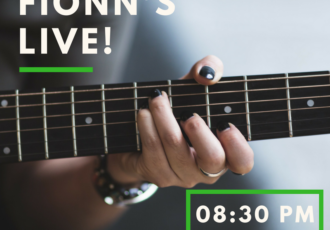 Fionn’s Live Presents: June 29th: Ace Winn @ Hilden Dr at 8:30 June 30th: Trevor Tanner @ The Jacksonville Landing at 8:30 Callie Johns @ Hilden Dr at 8:30 Come..